Get up early Friday after Thanksgiving and sing this song as out the door you go. The tune is to the traditional Thanksgiving song of Over the River and Through the Woods. To local quilt shops we go. Through black Friday crowds, oh no! Even though it gives our spouse a rash. And have a great delight. 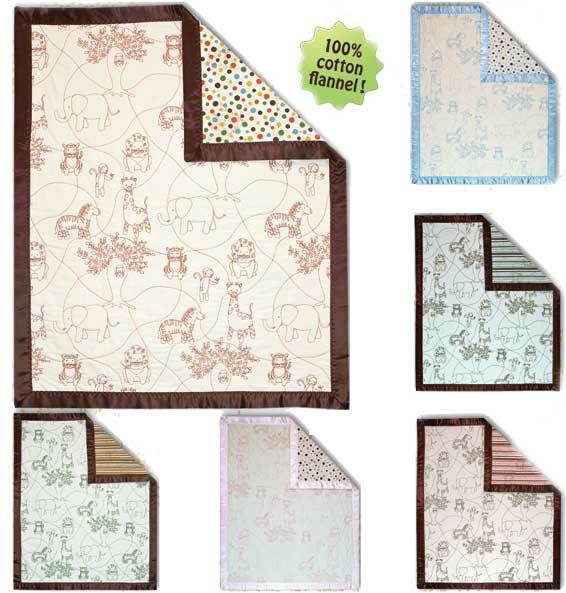 Baobab Blanket Kit "Follow the Stitch"
New on our website is a set of very cute kits. They come in multiple choices for color. The top is a single panel with designs that look like they have been stitched on. 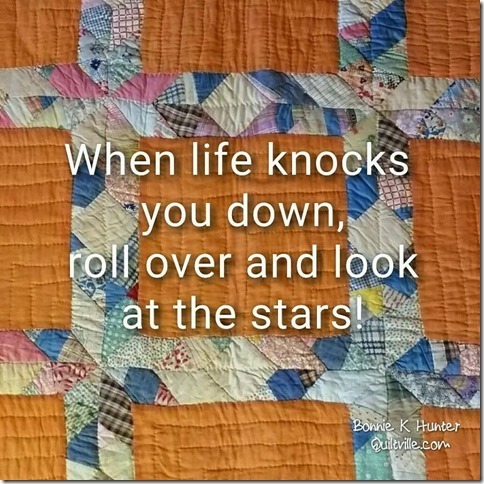 You can stitch along those same lines or do your own quilting or even tie this quilt. Included is the backing and a satin binding in the same color as the quilt top. Makes into a darling quilt for a baby or toddler. The fabric is all a very soft flannel. The kits come from RJR Fabrics, so you know it is great fabric. The design in from 2 mod moms. They did well. 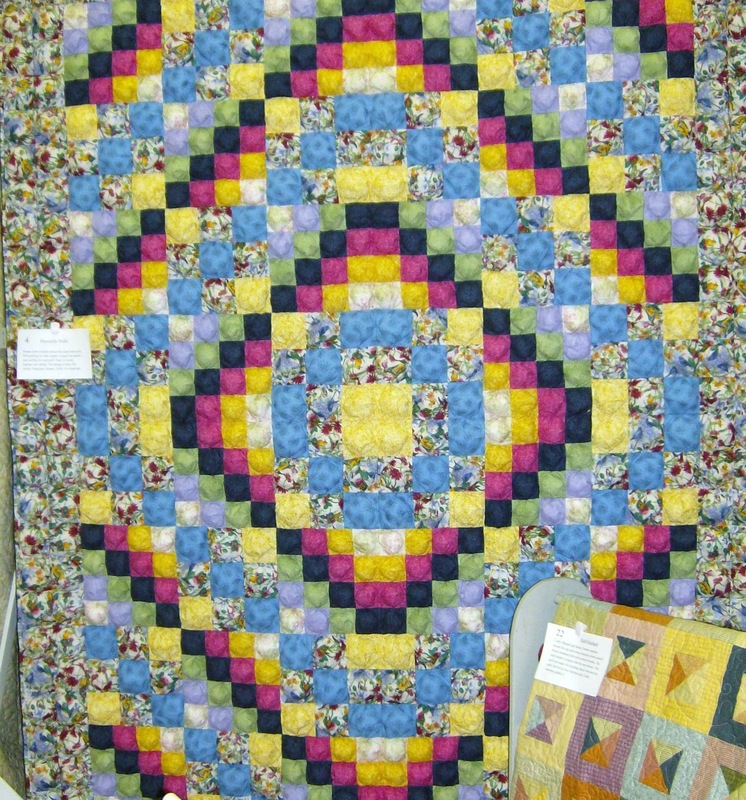 In January there is Heart of the Valley Quilt & Textile Show in Modesto. It will be held at the Modesto Centre Plaza at 10th & K Streets in Modesto. The start time is 10 a.m. 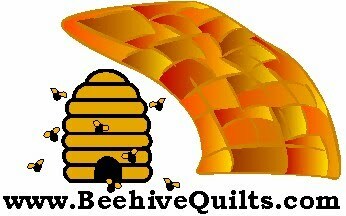 This is for all quilters and textile and fiber art crafters. Fun, raffles and all. For more information, go to www.countrycrossroadsquilters.com. 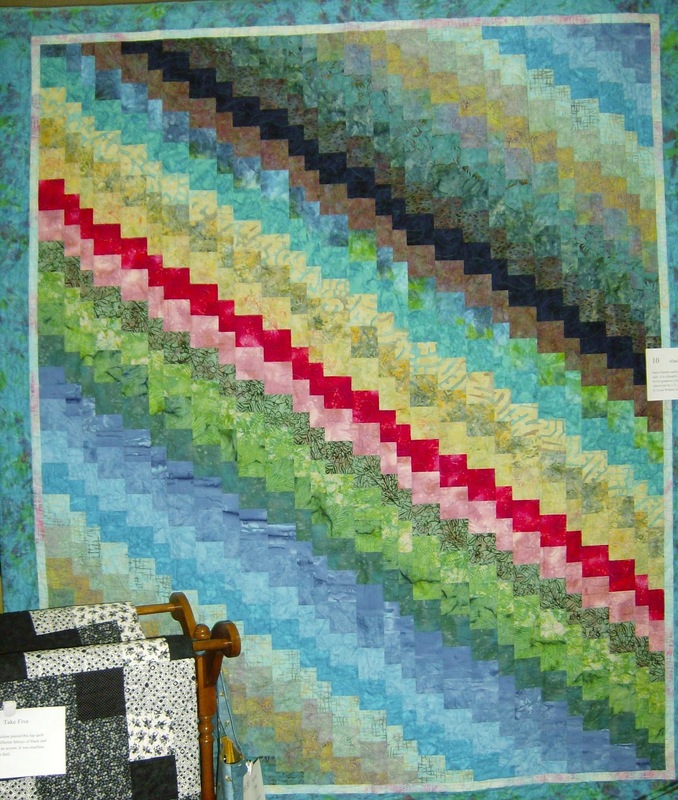 The next weekend, January 20 to 23rd is Road to California Quilt Show in Ontario. Gil and I went last year. It is great fun. Just wear good walking shoes and plan on spending a lot of time there. Be sure to take your patience with you, as there are lines and groups of people to get through or around. There is so much to see! For more information, go to http://www.road2ca.com/. Okay, so this has nothing to do with quilting, but I think it is interesting information. I am going to try it. I figure it cannot hurt. A scientist in Spain has proved that honey contains a natural ' Ingredient' which kills the influenza germs and saves the patient from flu..
Wow! What a fun day I have had today. Elisa and I went to River City Guild's annual quilt show. It is always fantastic featuring beautiful quilts, wonderful vendors, and a great country store. It is a quilt show that you have to plan to spend hours in, not just one to run in and run out of. Take your time and see it as it is. Wonderful! 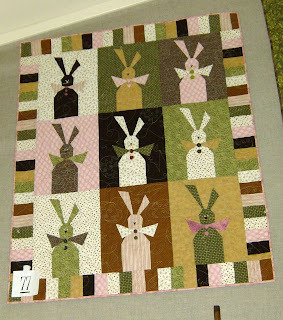 There I was seeing wonderful quilts and realized I had forgotten a camera. Elisa had her phone camera and took the following pictures. Thanks, Elisa. This took a second place. I thought it was the most beautiful. Love it. This is Laurel Anderson's quilt. She is one of my favorite designers. Beautiful quilt. 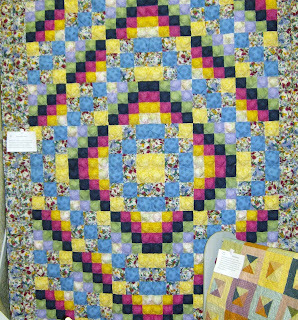 I guess I am not the only one that thinks she does wonderful work, but she took best of show with this quilt. Good job, Laurel. El dia de los muertos. I do not normally like skeletons, but this one is fantastic. I love the use of color. Stunning. This is the quilt ladder Gil made to donate to the raffle part of the show from Beehive Quilts. This one was stunning, too. It took first place in its category AND best use of color. A lot of work went into this quilt. Plus a great part was the show's raffle choices. Between Elisa and I we purchased 50 tickets. I thought we might have a chance to win something! Well I got a call an hour ago, and I had won a kit to make a popsicle quilt. Love it! Best of all, we saw a lot of the people we met while our store in Woodland was open. It was wonderful to say hello to them all again. Miss you all. Last Friday Gil, Elisa and I loaded up our Expedition. Gil and I headed up to Brownsville CA. Brownsville is a quaint little community in Northern California. It has a bakery on one of the main corners of the community that I was told is the best place around. The only problem was it was closed by the time we got there and is closed every Saturday and Sunday, which were the days we were there. One day we will take a drive and go have breakfast at the bakery in Brownsville. 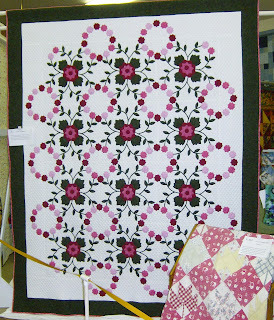 Saturday and Sunday was spent as a vendor at the quilt show. What fun it was. And a lot of people came through. I loved it. 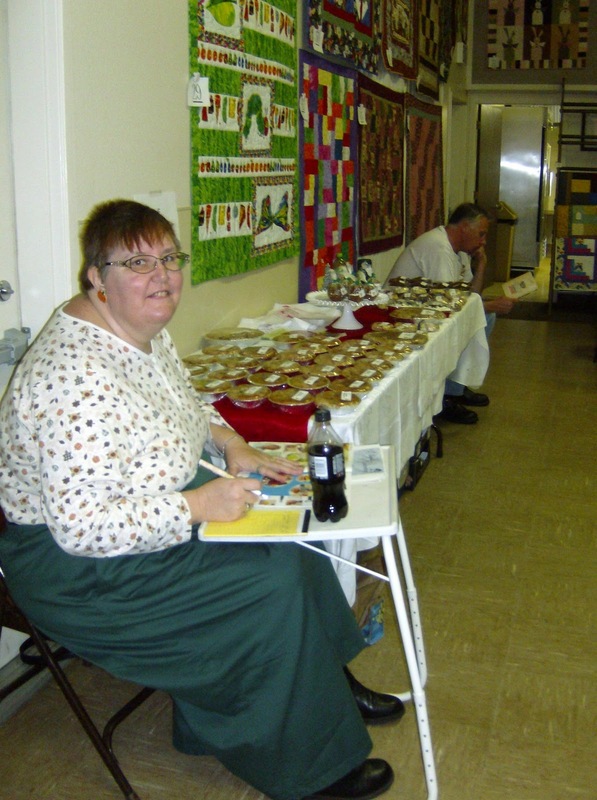 Who knew such a small community could hold such a successful quilt show? If you are around Northern California in 2011, be sure to come to the Brownsville quilt show on November 5-6, 2011. You will love it. Plus we will be there as a vendor. I love unique quilts. Cute quilt. This was one of my favorites at the show. Of course it helped that it was right above my booth and I looked at it several times a day. The colors were gentle. The design was cute. It was well put together. Just darling. The Cobbler Guy and his wife were there with the most beautiful and yummy individual cobblers, along with cookies and breads. The absolute best was the Elvis bread. You have find him to find out what the Elvis bread is. We bought a loaf and I wanted to eat the whole loaf myself - but I didn't. They always are at this quilt show, plus they are at Grass Valley and Nevada City events. Search them out. 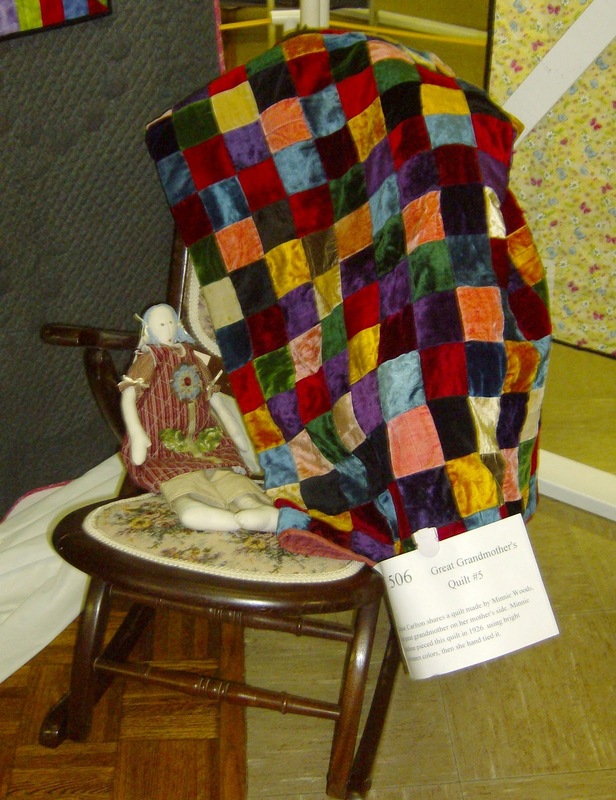 Lovely antique crazy quilt. This was made out of velvet. It was roped off so we could not touch it. Darn! 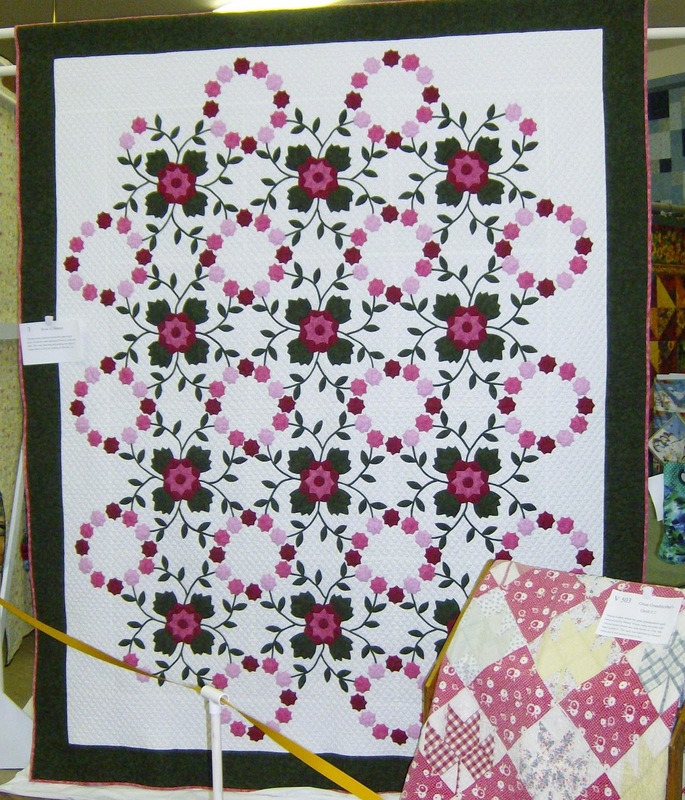 Quilts designed like this are hard to take pictures of, as the design tends to run together. This was a striking quilt. Beautiful colors and very nicely done. I have always loved the puffed blocks. They were popular many years ago. They are back. Makes you want to take this quilt down and wrap yourself up in it.